House Masters is a dj friendly compilation series showcasing the work of talented house producers. Previous collections have featured music by Kenny Dope, Louie Vega, Dennis Ferrer, Sandy Rivera and Bob Sinclar. The series brings both the artist's own productions and their most prominent remixes together in one collection and unmixed for use by other djs. 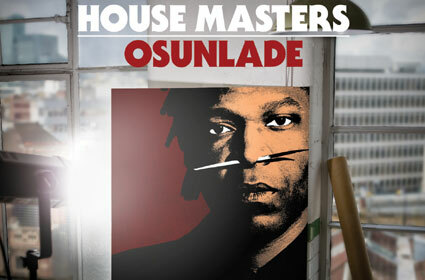 The latest dj and producer to be featured is Osunlade who is known for his love of African beats, jazz and soul. CD1 features his best original productions such as Pride, produced with vocalist Nadirah Shakoor, Break It Down and Momma's Groove. CD2 includes some of Osunlade's remixes such as his Yoruba Soul versions of Soul Central - Time After Time and Reel People - In The Sun. If house is your thing this one's for you. It's out now on Defected.